The Arts aren’t for us! If you’re religious but not Christian, chances are in your community you’ll say “the arts aren’t for us!” The DCMS ongoing survey into engagement in arts and sport, Taking Part, continues to throw up interesting questions. Way Art West research into attendance and attitudes towards arts funding shows an increasing gap between different religious groups. However Track Change has demonstrated that there is a clear link between access to suitable events and a belief that the ‘arts aren’t for us’. It is clear that there is insufficient engagement by many communities in the arts, and one of the main factors affecting this is a skills deficit. Reasons for this are complex but can be seen both within the arts mainstream and within the communities such as a belief that the arts aren’t for us. It can be seen as a market failure too and as such targeted initiatives will have impact. Track Change, over the past 5 years, has identified a number of factors that contribute, as well as proving that there is a viable new approach to art form and audience development. Around 30,000 mostly Muslim people engaged with arts, many attending an event for the first time generating substantial new arts income. 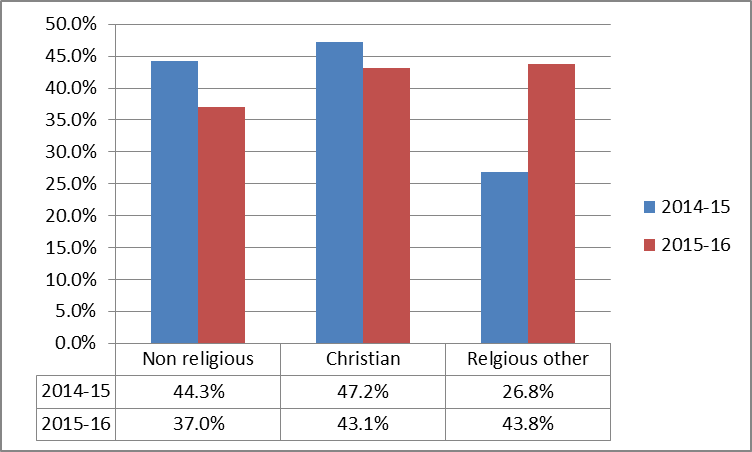 The taking part survey shows a clear relationship between religion and attendance / participation in arts events, and although it does not break down ‘other religion’ evidence from Track Change suggests that Muslims are less engaged than even this low figure. 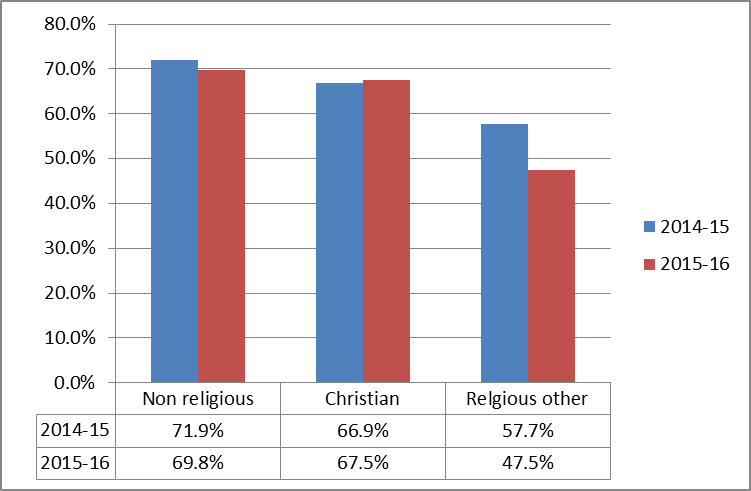 Just as worrying is the sharp fall amongst the ‘religious other’ group from 57.7% to 47.5% a fall of almost a fifth. When the attendance figures are then analysed against attitudes towards the targeting of government support for the arts a worrying tend can be seen, with arts funding rapidly losing credibility amongst certain religious communities as they believe that “the arts aren’t for us”. Do you agree that arts funding isn’t for you? It is time to consolidate this work into long term investment in engagement, employment and skills within communities of critically low provision, whilst maintaining the touring and outreach programme that has proved so successful.